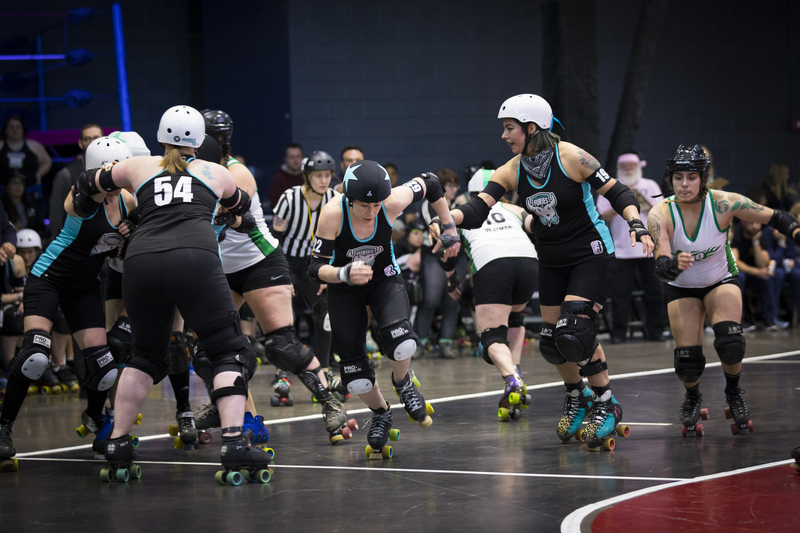 The news is finally in, the Lake Effect Furies will be heading to the Women’s Flat Track Derby Association Division 1 Playoffs in Dallas, Texas September 22-24. Dallas, Houston and Wasach. They enter the tournament in a new position – a 6thseed. With this season’s decisive wins over Boston, Ohio, Steel City and Ann Arbor, they rose in rankings to their highest spot yet. Their only loss in sanctioned play was to Montreal Roller Derby. The Furies have gone to D1 Playoffs twice; in 2015 and 2016. Both times they entered as the 9th seed. In 2015 they beat Toronto in their first game and advanced to play #1 seed Gotham (NYC). The Furies landed in 8thplace by the end of that tournament. In 2016 they lost their first game but with wins over Naptown (Indianapolis) and Sacred City (Sacramento) they secured 6thplace. The 2017 season brought some significant changes to the Furies roster. Head Huntress and Blackrock Bruiser returned to play after being side-lined last season due to injuries. The Furies opened up their tryouts and GO! from Roc City (Rochester) and Crazy Squirrel from Tri City (Kitchener, Ontario) came out. It was a no brainer to draft them and they brought depth to the team’s jammer bench. This year WFTDA unveiled a new tournament structure. There will be three D1 Playoff tournaments instead of four. 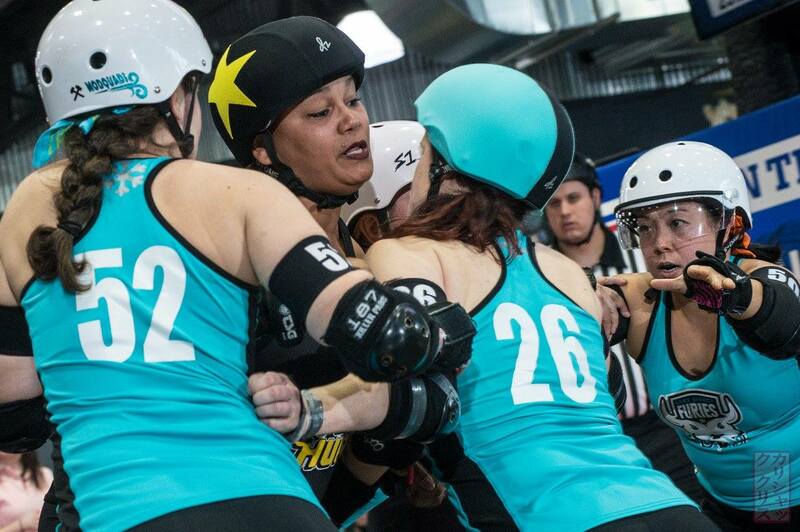 The top four teams from each D1 Playoff will play at WFTDA Champs in Philadelphia in November. There will be only one D2 Playoff tournament and the top spots will be awarded during that weekend. It was an economic decision more than anything. The derby community loves Playoffs but they aren’t always able to the venues and buy tickets. 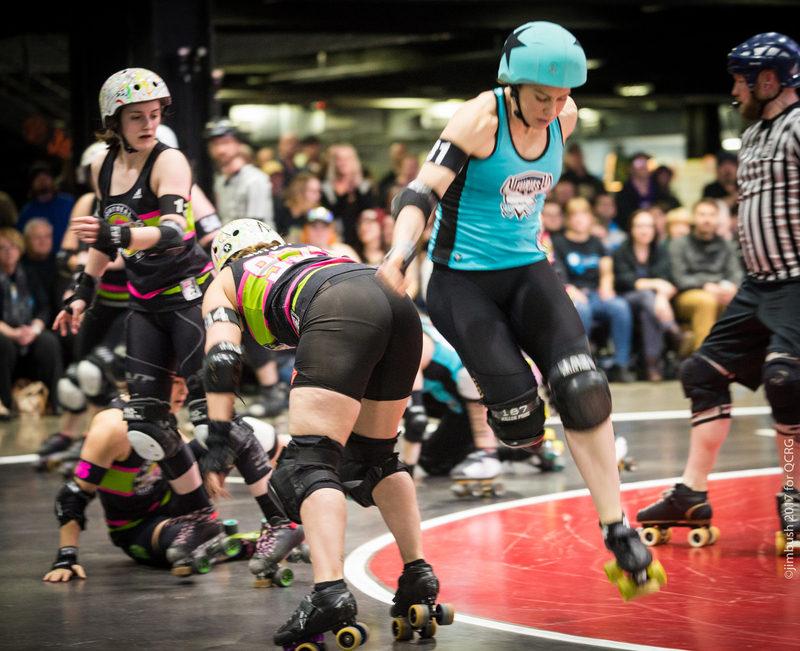 With the incredible spread of derby worldwide, WFTDA is trying to reach and accommodate derby skaters from all over the world. With that in mind, this year is the first time there will be a non-North American Playoff tournament. Crime City Rollers from Malmo, Sweden will be hosting 12 teams September 8-10. The other D1 Playoff tournament will be hosted by Rat City Roller Girls in Seattle, WA September 1-3 and WFTDA Champs will be in Philadelphia, PA November 3-5.